On June 15, a group of some 30 Rio Americano students traveled to Paris. Teacher Alec Hodgins organized the trip and I came along for the ride. And to snap a few pix. The first week, the students stayed with local families and Alec, his wife Christine, and I had to keep ourselves entertained in Paris. We did OK. Between the first and second legs of the journey. 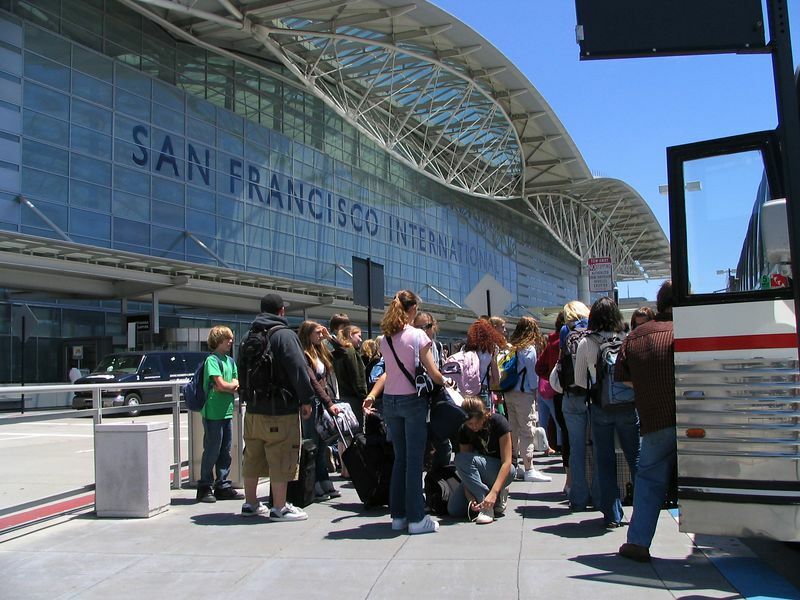 We boarded the bus at Ashton Park and made the quick hop over to SFO's International Terminal.